The Russian Liberation Army (Russian : Русская освободительная армия, Russkaya osvoboditel'naya armiya, abbreviated as РОА, ROA, also known as the Vlasov army (Власовская армия, Vlasovskaya armiya)) was a collaborationist formation, primarily composed of Russians, that fought under German command during World War II. The army was led by Andrey Vlasov, a Red Army general who had defected, and members of the army are often referred to as Vlasovtsy (Власовцы). In 1944, it became known as the Armed Forces of the Committee for the Liberation of the Peoples of Russia (Вооружённые силы Комитета освобождения народов России, Vooruzhonnyye sily Komiteta osvobozhdeniya narodov Rossii, abbreviated as ВС КОНР, VS KONR). A large numbers of Soviet citizens of various ethnicity collaborated with Nazi Germany during World War II. It is estimated that the number of Soviet collaborators with the Nazi German military was between one and two and a half million. Vlasov agreed to collaborate with Nazi Germany after having been captured on the Eastern Front. The soldiers under his command were mostly former Soviet prisoners of war but also included White Russian émigrés, some of whom were veterans of the anti-communist White Army from the Russian Civil War. On 14 November 1944, it was officially renamed the Armed Forces of the Committee for the Liberation of the Peoples of Russia, with the KONR being formed as a political body to which the army pledged loyalty. On 28 January 1945, it was officially declared that the Russian divisions no longer form part of the German Army, but would directly be under the command of KONR. 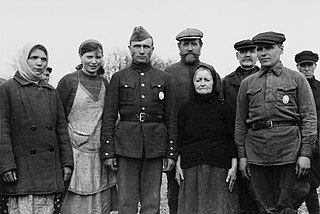 A white émigré was a Russian subject who emigrated from Imperial Russia in the wake of the Russian Revolution and Russian Civil War, and who was in opposition to the contemporary Russian political climate. Many white émigrés were participants in the White movement or supported it, although the term is often broadly applied to anyone who may have left the country due to the change in regimes. The term Hiwi is a German abbreviation of the word Hilfswilliger, meaning "voluntary assistant", or more literally, "willing helper". During World War II, the term Hiwis gained broad popularity in reference to auxiliary forces recruited from the indigenous populations in the areas of Eastern Europe first occupied and annexed by the Soviet Union and then occupied by Nazi Germany. Hitler reluctantly agreed to allow recruitment of Soviet citizens in the Rear Areas during Operation Barbarossa. In a short period of time, many of them were moved to combat units. In late 1942, Hiwis comprised 50 percent of the 2nd Panzer Army's 134 Infantry Division, while the 6th Army at the Battle of Stalingrad was composed of 25 percent Hiwis. By 1944, their numbers had grown to 600,000. Both men and women of the Soviet Union were recruited. Veteran Hiwis were practically indistinguishable from the regular German troops, and often served in entire company strengths. The 6th Army is a field-army unit of the German Wehrmacht during World War II (1939-1945). It has become widely remembered for its destruction by the Red Army at the Battle of Stalingrad in the winter of 1942/43. It also acquired a reputation for the war crimes that it committed under the command of Field Marshal Walther von Reichenau during Operation Barbarossa. 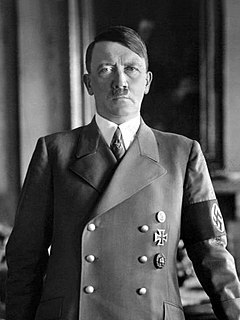 Adolf Hitler allowed the idea of the Russian Liberation Army to circulate in propaganda literature, as long as no formations of the sort were actually permitted. As a result, some Red Army soldiers surrendered or defected in hopes of joining an army that did not exist. Many Soviet prisoners of war volunteered to serve under German command just to get out of Nazi POW camps, which were notorious for starving Soviet prisoners to death. Surrender, in military terms, is the relinquishment of control over territory, combatants, fortifications, ships or armament to another power. A surrender may be accomplished peacefully, without fighting, or it may be the result of defeat in battle. A sovereign state may surrender following defeat in a war, usually by signing a peace treaty or capitulation agreement. A battlefield surrender, either by individuals or when ordered by officers, normally results in those surrendering becoming prisoners of war. The Oberkommando des Heeres (OKH) was the High Command of the German Army during the Era of Nazi Germany. It was founded in 1935 as a part of Adolf Hitler's re-militarisation of Germany. 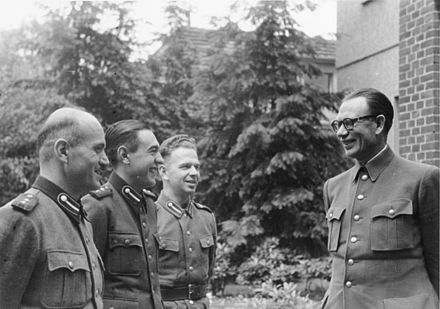 From 1938 OKH was, together with OKL and OKM, formally subordinated to the OKW, with the exception of the Waffen-SS. During the war, OKH had the responsibility of strategic planning of Armies and Army Groups, while the General Staff of the OKH managed operational matters. Each German Army also had an Armeeoberkommando, Army Command, or AOK. Until the German defeat at Moscow in December 1941, OKH and its staff was de facto the most important unit within the German war planning. OKW then took over this function for theatres other than the German-Soviet front. OKH commander held the title Oberbefehlshaber des Heeres. Following the Battle of Moscow, after OKH commander Field Marshal Walther von Brauchitsch was excused, Hitler appointed himself as Commander-in-Chief of the Army. Alfred Ernst Rosenberg was a Baltic German-born theorist and an influential ideologue of the Nazi Party. Rosenberg was first introduced to Adolf Hitler by Dietrich Eckart and later held several important posts in the Nazi government. Irrespective of the political wrangling over Vlasov and the status of the ROA, by mid-1943 several hundred thousand ex-Soviet volunteers were serving in the German forces, either as Hiwis or in Eastern volunteer units (referred to as Osteinheiten ("Eastern units") or landeseigene Verbände). These latter were generally deployed in a security role at the rear of the armies and army groups in the East, where they constituted a major part of the German effort to counter the activity of Soviet partisan forces, dating as far back as early 1942. The Germans were, however, always concerned about their reliability. Following the German defeats in the summer of 1943 the units began to disintegrate. On 12 September for example, 2nd Army had to withdraw Sturm-Btl. AOK 2 in order to deal with what was described as "several mutinies and desertions of Eastern units". A 14 September communication from the army states that in the recent period, Hiwi absenteeism had risen considerably. Following a series of attempted or successful mutinies, and a surge in desertions,  the Germans decided in September 1942 that the reliability of the units had fallen to a level where they were more a liability than an asset. In an October 1943 report, the 8th Army concluded grimly: "All local volunteers are unreliable during enemy contact. Principal reason of unreliability is the employment of these volunteers in the East." Two days previously, the German army had given permission to the KTB to take harsh measures in the event of further cases of rebellion or unreliability, investing regimental commanders with far-reaching powers to hold summary courts and execute the verdicts. The ROA did not officially exist until autumn of 1944, after Heinrich Himmler persuaded a very reluctant Hitler to permit the formation of 10 Russian Liberation Army divisions. On 14 November in Prague, Vlasov read aloud the Prague Manifesto before the newly created Committee for the Liberation of the Peoples of Russia. This document stated the purposes of the battle against Stalin, and spelled out 14 points which the army was fighting for. German insistence that the document carry anti-Semitic rhetoric was successfully parried by Vlasov's committee, but they were obliged to include a statement criticising the Western Allies, labelling them "plutocracies" that were "allies of Stalin in his conquest of Europe". By February 1945, only one division, the 1st Infantry (600th Infantry), was fully organised, under the command of General Sergei Bunyachenko. Formed at Münsingen, it fought briefly on the Oder Front before switching sides and helping the Czechs liberate Prague. A second division, the 2nd Infantry (650th Infantry), was incomplete when it left Lager Heuberg but was sent into action under the command of General Mikhail Meandrov. This division was joined in large numbers by eastern workers, which caused it to nearly double in size as it marched south. A third, the 3rd Infantry (700th German Infantry), had only began formation. Several other Russian units, such as the Russian Corps, XVth SS Cossack Cavalry Corps of General Helmuth von Pannwitz, the Cossack Camp of Ataman Domanov, and other primarily White émigré formations, had agreed to become a part of Vlasov's army. However, their membership remained de jure as the turn of events did not permit Vlasov to use the troops in any operation (even reliable communications were often impossible). A small group of ROA volunteers fought against the Red Army on 9 February 1945. Their fighting spirit earned them the praise of Heinrich Himmler. The only active combat the Russian Liberation Army undertook against the Red Army was by the Oder River on 11 April 1945, largely at the insistence of Himmler, as a test of the army's reliability. After three days, the outnumbered 1st Division had to retreat. Vlasov then ordered the first division to march south to concentrate all Russian anti-communist forces loyal to him. As an army, he reasoned, they could all surrender to the Allies on "favorable" terms, which particularly meant no repatriation to the Soviet Union. 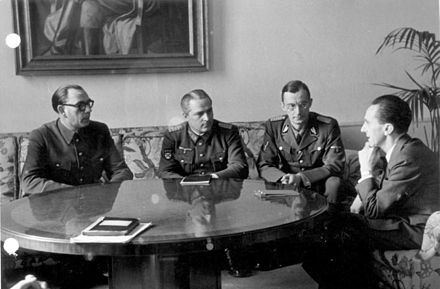 Vlasov sent several secret delegations to the Allies to begin negotiating a surrender, hoping they would sympathise with the goals of ROA and potentially use it in an inevitable future war with the USSR. During the march south, the first division of the ROA came to the help of the Czech partisans in the Prague uprising against the German occupation, which started on May 5, 1945. Vlasov was initially reluctant to agree to that move, but ultimately did not resist General Bunyachenko's decision to fight against the Germans. The first division engaged in battle with Waffen-SS units that had been sent to level the city. The ROA units, armed with heavy weaponry, fended off the relentless SS assault, and together with the Czech insurgents succeeded in preserving most of Prague from destruction. 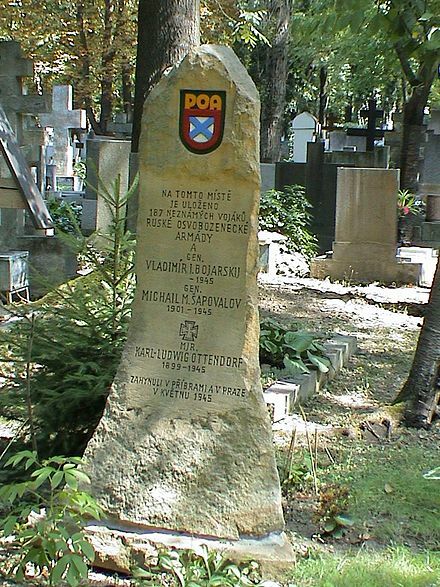 Due to the predominance of communists in the new Czech Rada ("council"), the first division had to leave the city the very next day and tried to surrender to US Third Army of General Patton. The Allies, however, had little interest in aiding or sheltering the ROA, fearing such aid would harm relations with the USSR. The Soviet government labelled all ROA soldiers (vlasovtsy) as traitors, and those who were repatriated were tried and sentenced to detention in prison camps. Vlasov and several other leaders of the ROA were tried and hanged in Moscow on August 1, 1946. 1st Division of the KONR Major General Sergei Bunyachenko Included members of the disbanded Kaminsky Brigade. Had a total of around 20,000 men. 2nd Division of the KONR Major General Grigory Zverev Not fully armed or prepared, had 11,856 men. 3rd Division of the KONR Major General Mikhail Shapalov Did not finish forming, had about 10,000 unarmed men. Two ace pilots of the Soviet Air Force, Semyon Trofimovich Bychkov and Bronislav Romanovich Antilevsky, defected and became part of the ROA air force, which was commanded by Major General Viktor Maltsev. The air force was disbanded in July 1944. Wikimedia Commons has media related to Russian Liberation Army . ↑ Based on the unpublished account of the 44th Division intelligence officer who met with Vlasov and negotiated his surrender in Austria. The surrender involved assurances from SHEAF headquarters in Paris that the ROA who surrendered to the Americans would not be sent back to the Soviets. His account remained unpublished because at the time of his death it was still considered highly secret. Andrey Andreyevich Vlasov or Wlassow was a Russian Red Army general. During World War II, he fought in the Battle of Moscow and later was captured attempting to lift the siege of Leningrad. After being captured, he defected to Nazi Germany and headed the Russian Liberation Army. At the war's end, he changed sides again and ordered the ROA to aid the Prague uprising against the Germans. He and the ROA then tried to escape to the Western Front, but were captured by Soviet forces. Vlasov was tried for treason and hanged. The Blue Division, officially designated as División Española de Voluntarios by the Spanish Army and 250. Infanterie-Division in the German Army was a unit of Spanish volunteers and conscripts who served in the German Army on the Eastern Front of the Second World War. It also included over 150 to several hundred men of the Portuguese Legion sent by the Portuguese Estado Novo under the Spanish Flag, many of whom had already fought in the Viriatos during the Spanish Civil War. The Committee for the Liberation of the Peoples of Russia was a committee composed of military and civilian anti-communists from territories of the Soviet Union. It was founded with the approval and sponsorship of Nazi Germany on November 14, 1944, in German-controlled Prague. 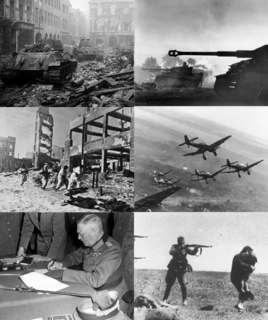 The Prague Offensive was the last major military operation of World War II in Europe. The offensive was fought on the Eastern Front from 6 May to 11 May 1945. Fought concurrently with the Prague uprising, the offensive was one of the last engagements of World War II in Europe and continued after Nazi Germany's unconditional capitulation on 8 May. Army Group Courland was a German Army Group on the Eastern Front which was created from remnants of the Army Group North, isolated in the Courland Peninsula by the advancing Soviet Army forces during the 1944 Baltic Offensive of the Second World War. The army group remained isolated until the end of World War II in Europe. All units of the Army Group were ordered to surrender by the capitulated Wehrmacht command on 8 May 1945. Walther Kurt von Seydlitz-Kurzbach was a general in the German Wehrmacht during World War II and a recipient of the Knight's Cross of the Iron Cross with Oak Leaves. Seydlitz-Kurzbach was relieved of his command in early 1943 and then abandoned the German army lines under German fire to surrender to the Red Army. He became a Soviet collaborator while a prisoner of war. After the war he was convicted by the Soviet Union of war crimes. In 1996 he was posthumously pardoned by Russia. Azeri SS Volunteer Formations were recruited from prisoners of war, mainly from the USSR, and also from the countries annexed by Soviet Union after 1939. They were organised to fight against the Soviet Union on the side of Nazi Germany. S.S. Sturmbrigade R.O.N.A. was a collaborationist formation composed of Soviet nationals from the territory of Lokot Autonomy during German-occupied areas of Russia during the German-Soviet War of 1939−45. Russian Liberation Movement was a movement within the Soviet Union that sought to create an anti-communist armed force during World War II that would topple the regime of Joseph Stalin. This movement included both Russians and peoples of other nationalities living within the Soviet Union, in which case it is referred to as the Liberation Movement of the Peoples of Russia. Ukrainian National Army (UNA) was a World War II Ukrainian military group, created on March 17, 1945 in Weimar, Germany, and subordinate to Ukrainian National Committee. The Ukrainian Liberation Army was an umbrella organization created in 1943, providing collective name for all Ukrainian units serving with the German Army during World War II. A single formation by that name did not exist. The designation was used by Ukrainian nationalists in reference to a number of companies and local Ostbataillonen of Hiwi volunteers desiring to free their own territories from the Soviet rule. They included enlisted Ukrainian prisoners of war (POWs) of the Red Army. 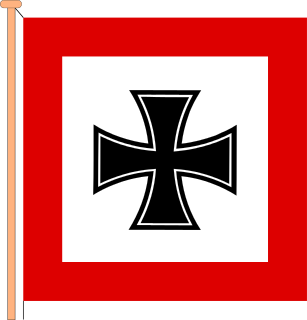 The core of the Liberation Army wearing the УВВ sleeve badge originated from the 14th Waffen Grenadier Division of the SS reorganized in April 1945 into the Ukrainian National Army (UNA) active until the German surrender in May 1945. The XV SS Cossack Cavalry Corps was a cavalry corps in the armed forces of Nazi Germany during World War II. The 30th Waffen Grenadier Division of the SS was a German Waffen SS infantry division formed largely from Belarusian, Russian and Ukrainian personnel of the Schutzmannschaft-Brigade Siegling in August 1944 at Warsaw, Poland. The division was transferred to southeastern France by mid-August 1944 to combat the French Forces of the Interior (FFI). The division's performance in combat was poor, and two battalions mutinied, murdered their German leaders, and defected to the FFI. Other troops of the division crossed the Swiss border and were interned. 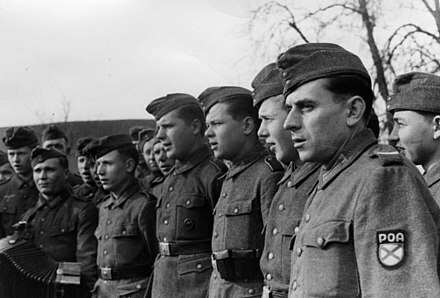 Afterwards, some of the division's personnel were transferred to the Russian Liberation Army while others were retained to form the SS "White Ruthenian" infantry brigade from January 1945. The Aserbaidschanische Legion or Azerbaijani Legion was one of the foreign units of the Wehrmacht. It was formed in December 1941 as the Kaukasische-Mohammedanische Legion and was re-designated 1942 into two separate legions, the North Caucasian legion and the Azerbaijani legion. It was made up mainly of former Azerbaijani POW volunteers but also volunteers from other peoples in the area. It was part of the Ostlegionen. It was used to form the 162nd (Turkistan) Infanterie-Division of the Wehrmacht in 1943. Later, some of these Azerbaijanis joined the Azeri Waffen SS Volunteer Formations. The 286th Security Division was a rear-security division in the Wehrmacht during World War II. The unit was deployed in German-occupied areas of the Soviet Union, in the Army Group Centre Rear Area. It was responsible for large-scale war crimes and atrocities including the deaths of thousands of Soviet civilians. The 16th Rifle Division was a formation in the Red Army created during World War II. The division was formed twice, and was given the title 'Lithuanian' during its second formation. It was originally established at Tambov in May 1918. It was wiped out at Mga in July 1941. Reformed and given the title 'Lithuanian', the division participated in several battles against Nazi Germany, including Kursk, Belarus, and the Baltic. The division became a brigade postwar but became a division again in 1950. It was disbanded in 1956. The 369th Reinforced Infantry Regiment was a unit of the German Wehrmacht that fought on the Eastern Front in World War II. The regiment was raised from volunteers drawn from Croatia and was commonly referred to as the Croatian Legion. Vasily Malyshkin was a Soviet major general during World War II. 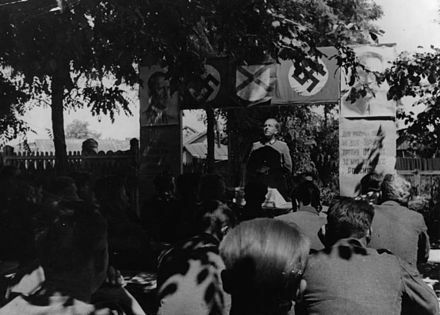 Following his capture during Operation Typhoon he defected to Nazi Germany becoming a leading member and propagandist for the Committee for the Liberation of the Peoples of Russia (KONR). In the aftermath of the German defeat he was captured by the American army, which in turn transferred him to the Soviet Union where he was executed for treason. Fyodor Truhin was a Soviet major general during World War II. Following his capture during the Baltic Operation he defected to Nazi Germany becoming a leading member of the Committee for the Liberation of the Peoples of Russia and the National Alliance of Russian Solidarists. In the aftermath of the German defeat he was captured by pro-Soviet Czech partisans, who in turn transferred him to the Soviet Union where he was executed for treason. 1 2 3 Jurado, Carlos (1983). Foreign Volunteers of the Wehrmacht 1941-45. Osprey Publishing. p. 28. ISBN 0-85045-524-3. ↑ Ellis, Frank. The Stalingrad Cauldron: Inside the Encirclement and Destruction of 6th Army. N.p. : U of Kansas, 2013. Print. ↑ RH20-8/979 >„Zuverlässigkeit landeseigener Verbände“, AOK 8 Ia 4844/3, 1.10.43 "“Alle landeseigenen Verbände sind bei Feindberührung unzuverlässig. Hauptgrunde der Unzuverlässigkeit sind der Einsatz der Verbände im Osten“. ↑ A 4 November 2nd Army report names just 9 units (it had more than 60 in September) who were to remain with the Army, the rest having been or being in the process of transfer to the West, or disbandment. (See RH20-2/558 ”Auskämmaktion unzuverlässiger Ostverbände” AOK 2 Ia 4454/43, 4.11.43). An Army Group Center report ( RH20-2/558 ”Zusammenstellung über Osttruppen”, HG Mitte Ia 12303/43, 25.10.43) identifies 16 battalions and several companies which had already departed for the West by late October, with an additional 20 (again, plus several companies) designated for transfer, and a further 12 being prepared. 1 2 Müller, Rolf-Dieter. The Unknown Eastern Front: The Wehrmacht and Hitler's Foreign Soldiers. London: I.B. Tauris, 2012. Print. Fersen, Nicholas. Corridor of Honour. Bobbs-Merrill, Indianapolis 1958.